Attention! There’s a new kid on the Indian cuisine block and they’ve got the authentic Indian goods! Whether it’s Tandoori Chicken, Pomfret fish, or Biryani rice, here you’ll find classic Indian dishes that will transport you to Northern Indian heaven. They even have Taj Indian beer! Here you can find a huge vegan/vegetarian selection serving some of the most delicious recipes like Tofu Mattar, Eggplant Curry, Potato Masala and much more. When I say much more, I mean MUCH more, as they have an all-you-can-eat buffet with over 15 rotating dishes to choose from every day for lunch including dessert! The buffet menu alternates every week and includes both vegetarian and meat options so everybody in your family or friend group leaves with their hearts happy and their bellies full. On Wednesday nights they’re extra nice to their vegan friends as they serve a big vegan dinner buffet from 5 pm - 10 pm every week. The newbie restaurant had its grand opening just six months ago. This is a place where you can get a delicious meal at an amazing price as the all-you-can-eat vegan buffet is only $15.99. They also offer raffles from time to time where you can win free three-course meals so you can indulge without letting the wallet feel the heat. The daily lunch buffet is from 11:30 a.m. - 3 p.m. Monday through Thursday for $9.99 and on Friday through Sunday when there is a larger selection of items the buffet is $12.99. Each week the items change so you will get a full variety of dishes while still coming back for your favorites! If you’re looking for a cool, new and exotic place to take that special someone you don’t have to look any further. 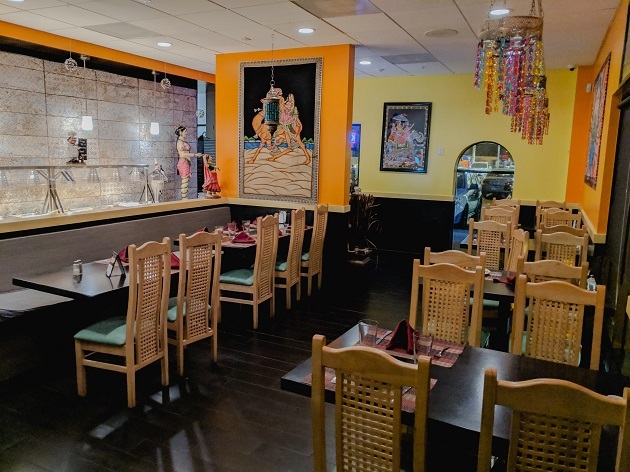 The interior of Haveli Indian Kitchen is decorated beautifully with ethnic Indian art and designs, creating a romantic atmosphere you and your bae will appreciate. If the weather is nice and you’re feeling all right, head on over to their spacious outside patio and enjoy some fresh air as their excellent staff takes care of your table. Or if you’re not feeling like leaving the commodity of your humble abode, they also do delivery as well as take-out. If you have a big party to plan and want to impress your guests with something different they also do catering. 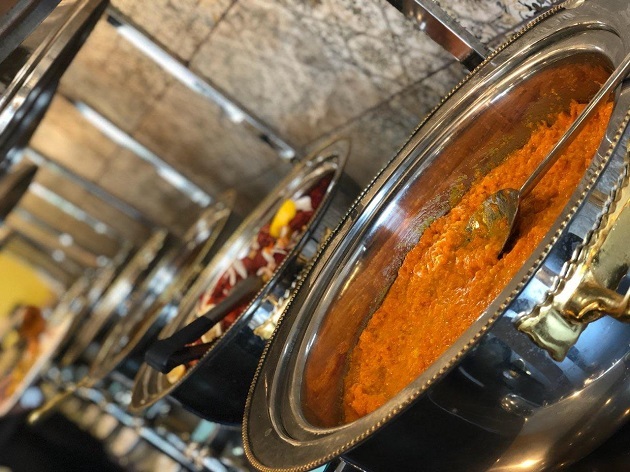 Haveli Indian Kitchen is located on 12908 N Dale Mabry Hwy, Tampa and it is open from 11:30 am - 3 pm with their lunch menu and from 5 pm – 10 pm with their dinner menu on weekdays and on Sundays. On Friday and Saturday, they close a little later at 11:00 pm. You can contact them at (813) 488 - 6294. Looking for more info on Indian restaurants in the Tampa area? Register at 813area for free!